“Anything worth doing is worth overdoing.” It’s one of my favourite lines. Spend very much time around me and I’ll say it at one time or another. It would also be a very good way to describe my last trip to Vancouver. I was part of the epic journey known as Dimsumcouver 3.0. Nine restaurants in about as many hours with my friends Naomi, Cameo, Rachel, and Frank, it was ad ode to gluttony and delicious differences between out native Seattle and the metropolis to the north. We dashed north as quickly as possible in our quest for dim sum, dosas, izakaya, ramen, and whatever else caught our eyes. This is where I give a shout out to Naomi driving the other car. She drives like she means to get somewhere. A really refreshing change from most drivers in Seattle, thank Tod. Anyways, after a quick stop at duty free for some tax free booze – everything tastes better without tax, we made our first stop of the day at Sea Harbour. 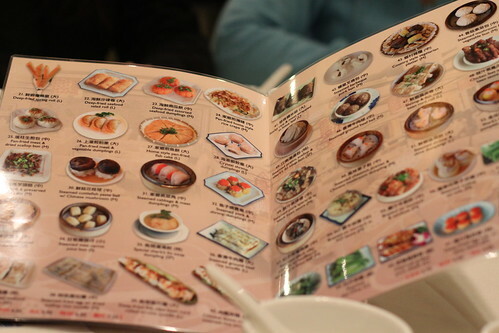 A quick note on Vancouver dim sum, there are way more places there without carts, ordering from a menu is far more prevalent than in Seattle. I like carts but don’t care too much as long as it’s good. Pictures are a big help though and thankfully there were plenty of pictures. Someday I will actually learn how to read Chinese and shock the crap out of my parents, until then pictures will have to do.